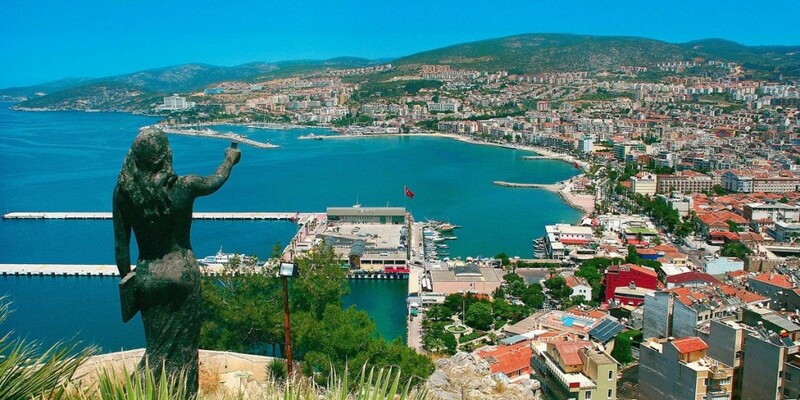 The 8 Day Anzac Tour (B-Bravo) is the ideal option for those with enough time to really experience what Turkey has to offer, as well as the ANZAC Day commemorations. It is also perfect for those who wish to carry on travelling after their tour. The tour begins on the 21st of April in Istanbul. During your time with us, you will receive fully guided tours of Istanbul and Gallipoli before heading to Anzac Cove for the ANZAC Day services on the 24th. After the commemorations, you will receive fully guided tours of Pergamon and Ephesus. The tour will end in Kusadasi on the 28th, giving you the opportunity to continue travelling through Turkey or catch a ferry to the Greek islands. Welcome to Turkey! After checking into your hotel, you will have the afternoon free to exploreIstanbul at your own pace. Later in the evening, you will meet your guide who will answer any questions you may have, and give you all the information about your tour. Following this meeting we have a welcome drink for all tours starting on the 21st April and a chance for you to meet everyone. If you arrive at Ataturk International Airport on the 21st of April, an airport transfer to your hotel is included in your tour package. A member of the Samyeli Travel team will meet you at the airport. If you are arriving at Sabiha Gokcen Airport, paid airport transfers are also available at certain times (Please see FAQs). If you are arriving by alternative means, you will be emailed your hotel details in April so you can make your own way there. 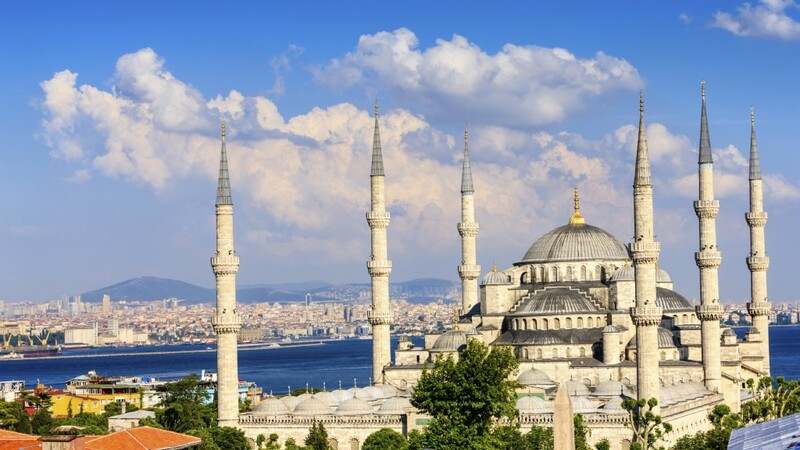 This morning, we partake in a fully guided tour of Istanbul, the only city to span two continents. Some of the highlights of this tour will include; the Hagia (St.) Sophia, on of the great marvels of architecture, constructed in the 6th century by Emperor Justinian; the Blue Mosque, famous for its unique 6 minarets and blue Iznik tiles; Hippodrome, the centre of sporting and political activities of the old city; Topkapi Palace, the great palace of the Ottoman Sultans from the 15th to the 19th centuries, housing an amazing collection of silver, crystal and Chinese porcelain, robes worn by Sultans and their families, the jewels of the Imperial Treasury, miniatures, the Holy Mantle; enshrining relics of the Prophet Mohammed. 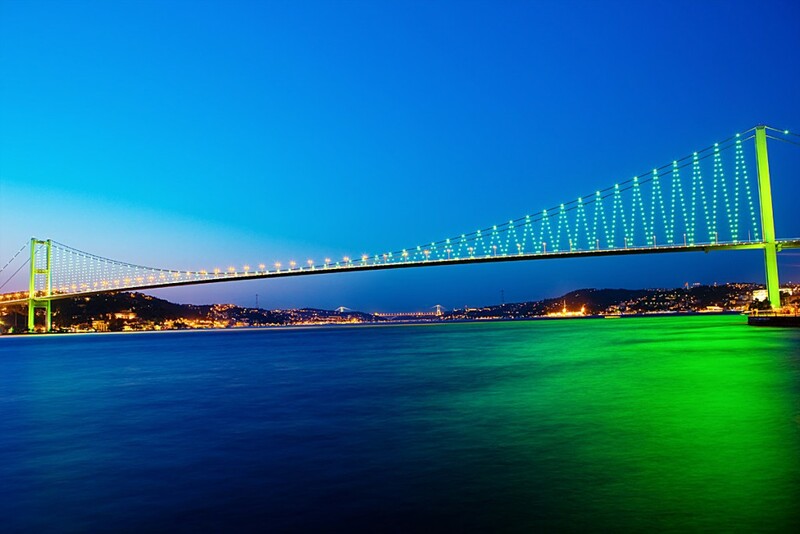 The rest of the day is yours to explore Istanbul, or you can join us on the optional Bosphorus Cruise and Gala Evening. After an early breakfast, we will begin our drive to WWI Battlefield of Gallipoli. During this drive, we will also be showing a movie or documentary about Gallipoli, to help give you an idea of the type of people who fought in this war, and for you to picture the conditions 105 years ago. We will also have a break for lunch. Once we reach our destination, we will begin a fully guided tour of Gallipoli, visiting various sites including; Anzac Cove, Kabatepe War Museum, Lone Pine, the Nek, Hell Spit Cemetery and the Chunuk Bair War Memorial. Your guide will bring alive the legends of the Anzac’s, telling you stories of the battles and those who fought in them. Visiting the Gallipoli Peninsula on the 23rd of April is a great opportunity to explore the area before the crowds arrive on the 24th. In the evening, we will travel to our luxurious accommodation for an all-you-can-eat buffet dinner. Today is a chance to sleep until late, and rise to a full breakfast. Throughout the day, you have the option to partake in a number of activities including; football, tennis, volleyball, basketball, relaxing at the beach, swimming in the outdoor pool or just strolling around the gardens and parks. 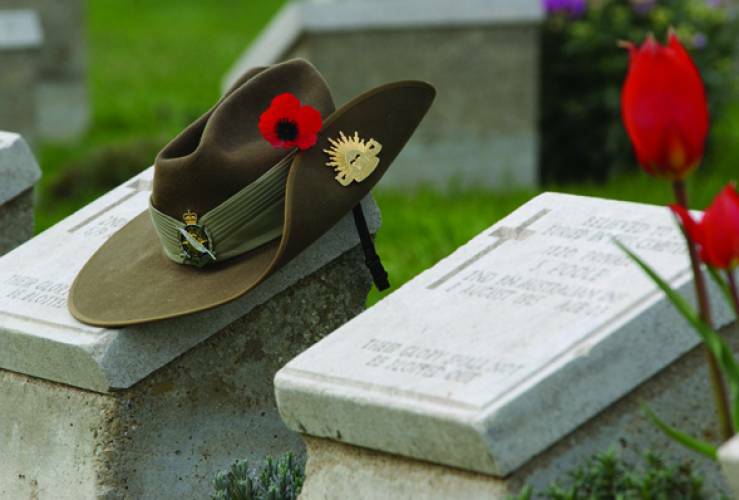 Make sure you get plenty of rest, as ANZAC Day will be a long and busy day. You can enjoy a buffet dinner before heading out for Gallipoli late in the afternoon. Once we arrive, we can ensure a good spot for the dawn service. 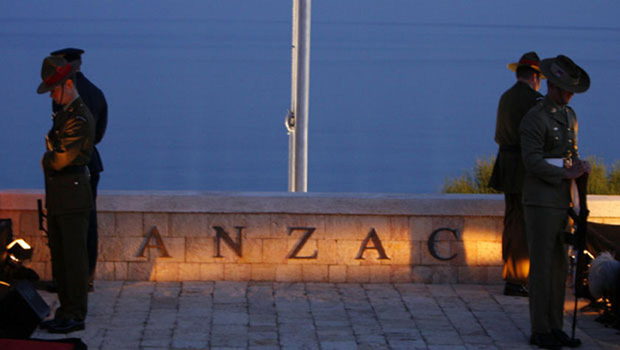 Important: For your overnight stay at Anzac Cove, you will need to bring a day pack. Once your main luggage is loaded onto the coach in Edremit, it is securely locked overnight. This means that you will not be able to access it again until we arrive at Istanbul on the evening of the 25th. Please also note that during your overnight stay at Anzac Cove, the weather can be very cold. We strongly suggest that you bring sleeping bags, warm clothing and blankets. We also recommend a wet weather jacket in case of rain. 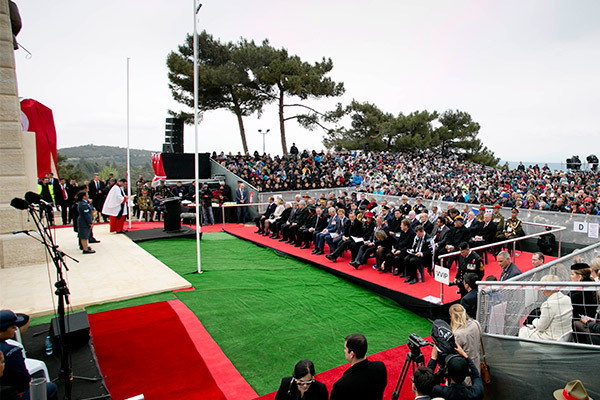 After the Dawn Service, we will make our way to various sites for other commemorations. The first site we will visit will be the Australian Service at Lone Pine, followed by the New Zealand Service at Chunuk Bair. After the NZ service, your guide and coach will pick you up , after visiting Gallipoli , we will travel to the Ancient City of Troy. A world famous archaeological and mythological site, Troy is home to the “Trojan Horse” and “Helen of Troy”.Then we will depart for Edremit and arrive in the late evening. After breakfast, we depart for Bergama, where you will be given a guided tour around theAncient Medical Centre Asclepion in Pergamum. Here, we’ll have a lunch break before continuing our journey to Kusadasi. Here, we will stop in Selçuk, an area famous for textile production and will watch a demonstration of this ancient craft. Once we have checked into our hotel in Kusadasi, you have the option to visit a traditional Turkish Bath; a must-do for anyone visiting Kusadasi. Today begins with a guided visit to the Temple of Artemis, one of the Seven Wonders of the Ancient World. Here, you will learn from your guide all about the temple and the significance of this important historical site. We then move on to Ephesus, one of the best preserved ruins in the world, and formally one of the most important cultural centres of the ancient world. 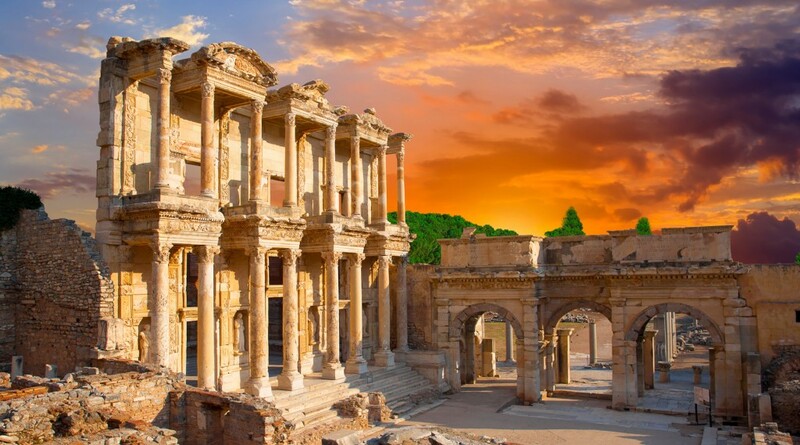 Whilst here, you will walk on the amazing streets paved with marble, and see the Ephesus ruins, Celcus Library, Odeon and the Theater which is still used today for concerts, holding an amazing capacity of 25,000. We then take a scenic Village of Sirince, where we will visit the Mosque, Antique Church and Typical Turkish Houses. A relaxing way to finish your day, Sirince is famous for its style of building, streets and handmade fruit wines. After this, we stop near Selçuk for a fashion parade and information on the regions famous leather production. We then drive back to our hotel for the night. After breakfast our tour ends, and we bid farewell to our new friends. Wherever you are heading to next, you will take with you unforgettable memories, and a new found understanding of Turkey, a country that plays such a vital role in your own history. If you would like to arrange your onward travel from Kusadasi or ferries to Samos, Samyeli Travel can assist you with this so please let us know at time of booking. Arrival airport transfers are free for all customers arriving at Ataturk International Airportbetween 8am and midnight on the 21st April. For full details on how our airport transfers work and getting to your hotel on the first day of the tour then please see the FAQ section. It is essential that customers who wish to use our transfer service send us full flight details including airline name, flight number, terminal number, arrival time. It is your responsibility to ensure we have this information before 7th April otherwise we cannot guarantee that a transfer will be available. If you wish to arrive in Istanbul earlier than the 21st or stay longer than the 28th then we can arrange pre & post tour accommodation for you although we have limited availability of this. The cost of this is per person £35 for a Double/Twin/Triple or £50 for a single room. Please indicate that you require this when making your booking.